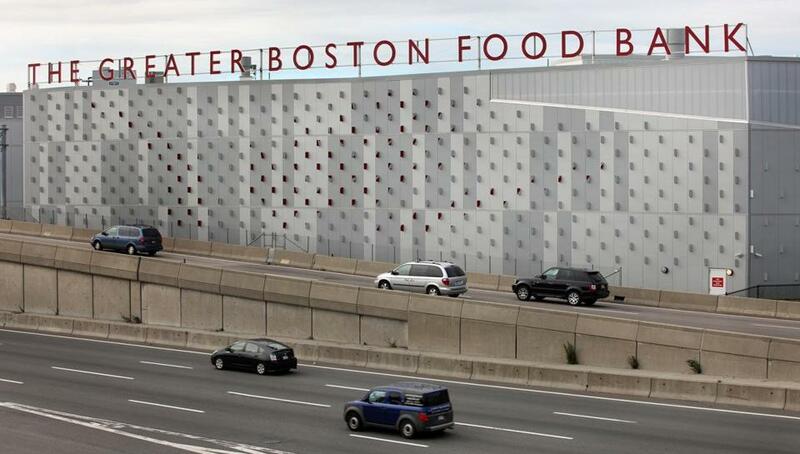 The Greater Boston Food Bank has tapped into the Boston-based food-matching platform Spoiler Alert. In mid-September, the Greater Boston Food Bank received an unexpected bonanza: a donation of 11,000 organic eggs. But there was a problem. The nonprofit can distribute only unexpired food, and the expiration date on the eggs was approaching fast. Fortunately, the region’s biggest food bank uses Spoiler Alert, a platform that connects distributors with food-rescue organizations. Within three hours, the eggs were claimed, scrambled, and served at a Salvation Army community center in Dorchester, and used in the teaching kitchen in the center’s culinary arts training program. Spoiled food is a costly problem, accounting for about $218 billion in financial losses to US farms, businesses, and consumers each year, according to ReFED, a group of companies, nonprofits, and foundations that was formed last year to minimize food waste. Since its launch in 2015, Spoiler Alert’s food-matching platform has been adopted by 200 businesses and nonprofits in New England to cut down on waste and encourage donations by making them easier to track. The company was created by two MIT Sloan School of Management graduates, Ricky Ashenfelter and Emily Malina, and their chief technology officer, Marty Sirkin, and has worked its way through the city’s accelerator programs, winning $50,000 from MassChallenge in 2015 and a spot in this year’s Techstars Boston cohort. Earlier this month, it raised a $2.5 million seed round and announced a partnership with Sysco Corp., the largest wholesale food distributor in the country. Sysco generated more than $50 billion in revenue in the year ended in July, distributing food to restaurants, hospitals, universities, and hotels in the United States, and has begun using Spoiler Alert in the Northeast to help manage food donation efforts. Spoiler Alert’s desktop software makes it easy for food distributors to put a bat signal-like alert up whenever they have excess food, and people registered for the service receive a text, e-mail, or in-app notification every time that such food becomes available. “At Daily Table I like to think of Spoiler Alert as an opportunity to further meet our mission of capturing healthy, tasty products before they make it to compost or trash,” said Ismail Samad, executive chef of the Dorchester grocery store, which sells food and prepared meals gleaned from donations. He said he relies heavily on Spoiler Alert to source the food for his store shelves. But part of Spoiler Alert’s recent success can be credited to another, rather wonky aspect of its platform, which helps companies navigate the tax code. Last December, Congress passed a bill that expanded the tax breaks companies can receive for donating food, making it easier for small businesses to donate and for farmers to assess the fair market value of their inventories. Spoiler Alert’s software streamlines the process for donors to keep track of what they’re giving away, helping them account for the price, cost, and weight of every apple or mayonnaise jar they donate using the stock keeping unit (SKU) numbers in their inventory systems. In turn, the nonprofits receiving the food are able to electronically sign off on the donations. The result is an automated list of deductions with documented receipts, making a clean and simple record for tax purposes. The company’s theory is that if they make it easier for companies to process tax paperwork, they’ll rescue more food. David Constantine, chief executive of the health startup Kindrdfood and one of the cofounders of MassChallenge, said Spoiler Alert’s plan to position itself to work with the tax code makes it interesting for investors, as they see the opportunity for scale. The company’s founders are optimistic that the tax breaks for charitable contributions will remain in place under a new Trump administration, and hope that their focus on the economic benefits that corporations can obtain through donations will appeal to lawmakers of any political persuasion.